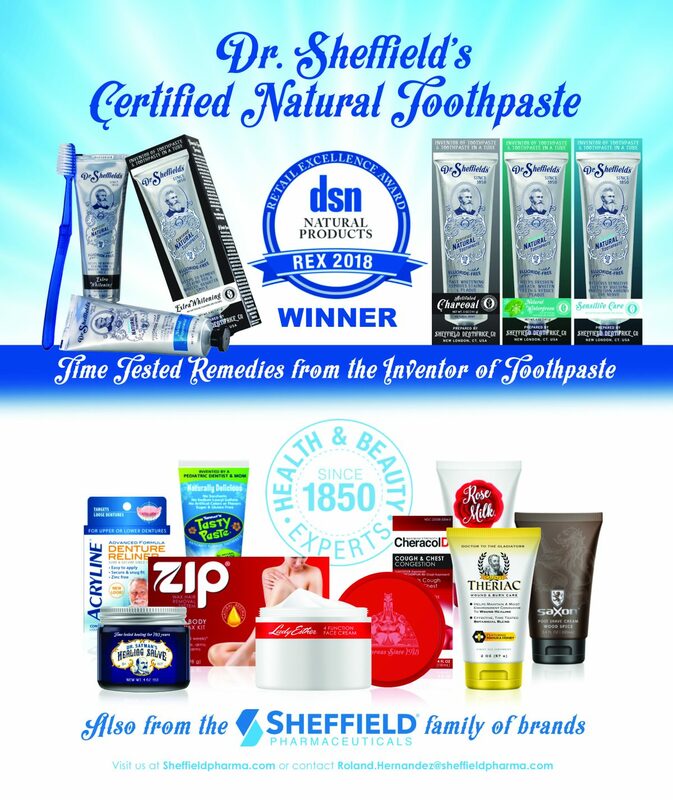 Dr. Sheffield’s Certified Natural Toothpaste is a recipient of the 2018 Drug Store News Retail Excellence Awards — Natural. Officials at New London, Conn.-based Sheffield Pharmaceuticals know they have history on their side. 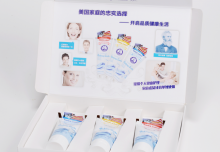 The company was the first to put toothpaste into a tube, way back in 1878, after the founder’s son saw paint being put into aluminum tubes while on a visit to Paris. The company has used its status well, developing a strong presence in the controlled brand category with dozen of products. Dr. Sheffield’s Naturals is a new line of toothpaste made from an age-old recipe reminiscent of simpler times. In the mid-1870s, Dr. Washington W. Sheffield, a respected dentist from New London, Connecticut, invented a ‘creme dentrifice’ for his patients, replacing the unsavory powders of the time. He put it in a tube, and the rest is history. Over 160 years later, Sheffield is back and harsh synthetics are out. Sheffield’s timeless formulas are still free of fluoride, synthetic detergents and foaming agents, GMOs and artificial colors, flavors, sweeteners – and actually taste good! Dr. Sheffield’s Naturals can be found at CVS and Bed, Bath & Beyond. For more information, visit www.drsheffieldsnaturals.com or follow us on Facebook, Instagram and Twitter. Sheffield Pharmaceuticals is a manufacturer of Health, Beauty and over-the-counter (OTC) drug products. 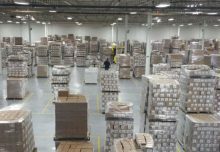 Sheffield manufactures all their products in New London Ct, and is a supplier to many national brands and most mass merchandise and drug chains in the United States. Sheffield was established 1850 on the same site as their current manufacturing facility. Sheffield was the first company to put toothpaste in a tube in the early 1870s, and has recently launched Dr. Sheffield’s Certified Natural Toothpaste, which is available in CVS and Bed Bath and Beyond nationally. For Sheffield’s contract manufacturing customers and joint ventures, Sheffield’s value-add can include more than manufacturing. Sheffield can provide a suite of services, including sales and marketing plans, formula refinement in our R&D facilities, product development from concept to execution, fulfillment and logistics, chemicals procurement, and regulatory expertise. 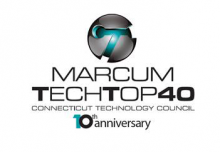 The company is dedicated to providing the highest quality service and products to our customers in strict accordance with all FDA (cGMP) regulations and procedures. Sheffield employs 175 in New London, CT.